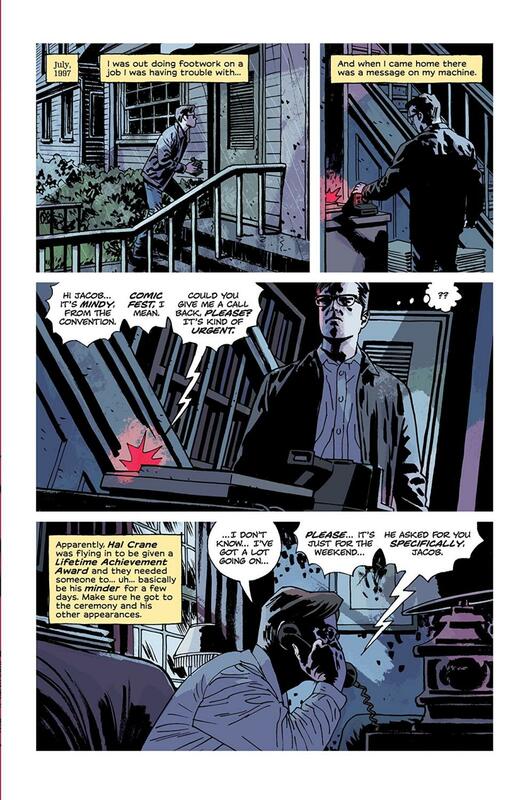 As Ed Brubaker explains at the end of the issue, he promised us that this series was “going to be unpredictable.” That was a legitimate warning because after a riveting first issue, I was definitely expecting a continuation of it in this second issue. 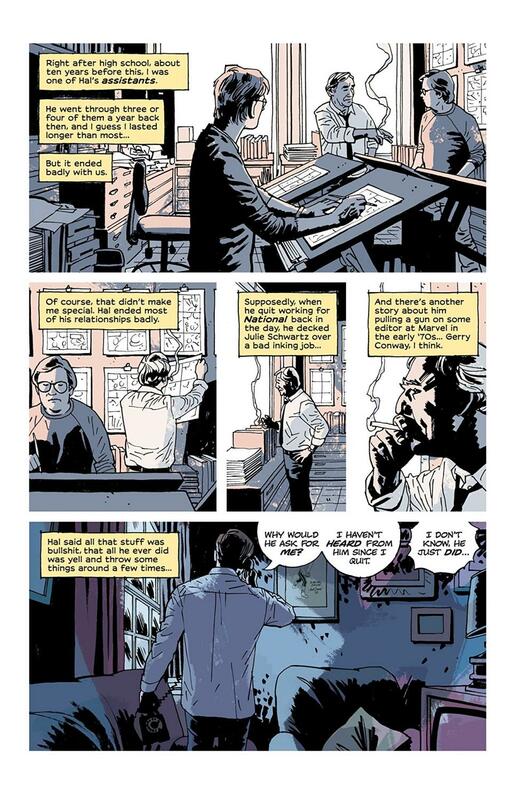 But Ed Brubaker is an amazing writer and knows what he is doing so I trust him in whatever decision he makes. My expectation of a continuation in this second issue doesn’t mean that I didn’t enjoy the first part of the story that we ended up getting. This is the kind of comic book that I get lost in as soon as I start reading. 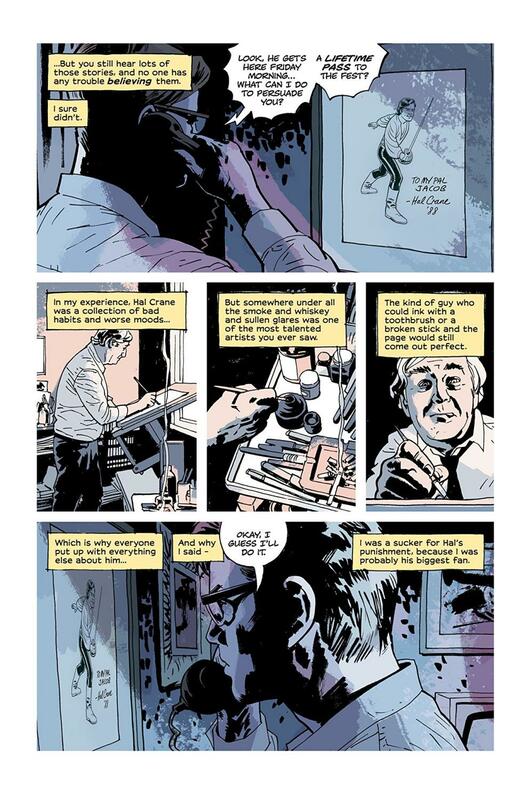 Both Brubaker’s writing and Sean Phillips and Jacob Phillips artwork pull you into a dark and complex web of crime and betrayal. Hal Crane is a wonderful character to follow especially because we are following him through Jacob's perspective. As Jacob gets more and more caught up in something dangerous, we get to feel that as well. I love this issue because, like the entire series’ premise, there’s no beating around the bush, there’s no fantasy or magic, there’s nothing that needs too much back story. This story is raw, it’s in your face, and, most importantly, it is very real. I got so entranced by the story as a thrilling tale of crime but the closer I got to the end, the more it set in how sad the story is as well. The crime isn’t the only thing making it so dark, the misery within almost every character bring the issue’s tone to a grim place that I love. Speaking of tone, Sean Phillips and Jacob Phillips masterfully create the hopeless yet alluring atmosphere that makes the issue so good. The story may work with another style, but I’d doubt it be nearly as good. Sean Phillips’ gritty approach to these characters and settings are perfect in every way. Adding Jacob Phillips’ gorgeous and dark colors make Criminal take its form as a comic book that fascinates from start to finish. 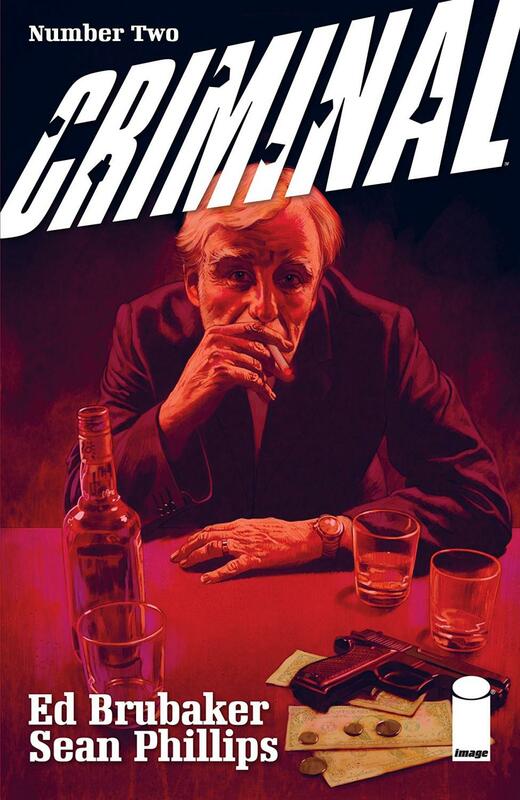 Despite what you expected from this second issue of Criminal, you won’t finish the issue disappointed because the entire team that worked on this comic book excel at delivering a compelling and beautifully bleak story.